Today, we're sharing a corner in the Cafe with Sark, our resident expert on Asian cinema, to chat about Wuxia films. Cafe: Sark, let's start at the very beginning. What is a wuxia film? Sark: Wuxia is a genre of Chinese films. It began in literature, but in movies, as we know them here in the West, it’s typically associated with period action pieces. An easy way to define it is to compare it to martial arts films with such stars as Bruce Lee, Jackie Chan or Michelle Yeoh. 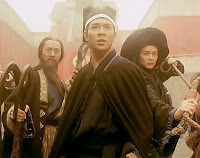 While martial arts movies tend to focus on hand-to-hand combat, wuxia most often highlights sword-wielding heroes in a fantastical setting, e.g. flying through the air in battle. Cafe: What was your first introduction to the wuxia genre? Sark: I can’t recall a specific film that introduced me to the wuxia genre. 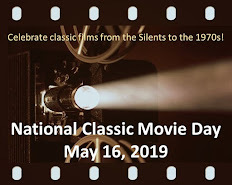 But I do remember a group of wuxia films that I watched while I was in college, such as Ronny Yu’s The Bride with White Hair (1993) and Ching Siu-Tung’s Swordsman II (1991). I had seen similar movies prior to these, but it was during this time that I grew accustomed to watching characters in the air just as much as on the ground. Cafe: Who are some of the most famous wuxia stars? 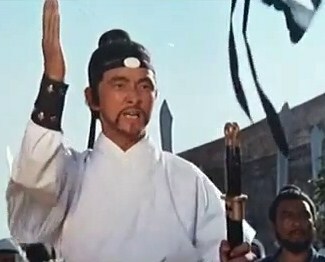 Wang Yu in Beach of the War Gods. Sark: Jimmy Wang Yu starred in many films of the genre, including Beach of the War Gods (1973) and Master of the Flying Guillotine (1976/aka One-Armed Boxer 2), both of which Wang also directed. Ti Lung, though more familiar to American audiences as a star of John Woo’s contemporary bullet ballet, A Better Tomorrow (1986), with Chow Yun Fat, had leading roles in his share of wuxia, perhaps his most famous being Chang Cheh’s King Eagle (1970). 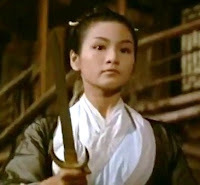 It’s hard to watch later wuxia movies and not see Brigitte Lin, who starred in the aforementioned The Bride with White Hair and Swordsman II. She was also in sequels to both of those, The Bride with White Hair 2 and The East is Red (1992/aka Swordsman III), both in 1993, Wong Kar-Wai’s Ashes of Time (1994), and Deadful Melody (1994/the mistranslated English title is generally accepted, though I have seen at least one DVD release as Deadly Melody). 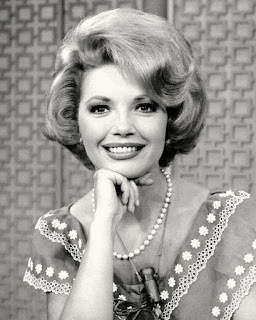 She unfortunately retired from movies in 1994. All three of these actors deftly handle roles in wuxia movies. They play the parts with credibility and sincerity, and make it easy to accept the fantasy as pure reality. Brigitte Lin as The Bride with White Hair. Cafe: If I wanted to sample some representative films, what would you recommend? Cheng Pei-Pei in Come Drink with Me. Sark: Wuxia films that I think are significant: 1979’s Last Hurrah for Chivalry (an early film from John Woo); King Hu’s 1966 Come Drink with Me (a prime example of the genre, and the fact that leading lady Cheng Pei-Pei started as a ballet dancer says much about wuxia’s visual style); most films with Brigitte Lin, but definitely The Bride with White Hair, Swordsman II and an earlier one directed by Tsui Hark, 1983’s Zu: Warriors from the Magic Mountain; and another movie from Ching Siu-Tung, Duel to the Death (1983), with Damian Lau, who, as it happens, also starred in Last Hurrah for Chivalry and Zu: Warriors from the Magic Mountain. 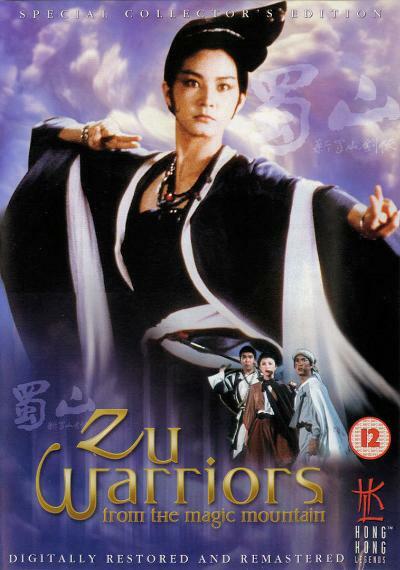 Cafe: What is your favorite wuxia film and why? Sark: My favorite wuxia film is Swordsman II. I think the visual bravura of Ching, who’s also a choreographer, is amazing, often including tracking shots that frame two or more characters clanging swords in lithe, graceful movement. The cast is outstanding; in addition to Lin, there’s Jet Li, Michelle Reis, Rosamund Kwan and Waise Lee (who co-starred with Ti Lung in A Better Tomorrow). The film is even interesting historically: It’s a sequel to a 1990 movie, and though many characters return, nearly everyone was recast – Lin replaced a male actor because she’s playing a man slowly turning himself into a woman. I haven't seen that film, but it sounds great! Thanks, Miguel. I'm already tracking it down (looks like it might be hard to find...). Glad to see you decided to explain to the audience what wuxia is about. Of course, I'm fond of Come Drink with me and A Touch of Zen. Sark, this was a fabulous interview (ditto for the other two this month). I'm a big Brigitte Lin fan; no other Asian actress in this genre possesses her unique combination of passion, fierceness, and beauty (sorry, Michelle). In fact, though I think highly of BRIDE WITH WHITE HAIR, I always get angry at Leslie Cheung's character because he's not worthy of Brigitte's character's love. SWORDSMAN II is awesome, too, as is DRAGON INN with Brigitte. My introduction to this genre was Tsui Hark's A CHINESE GHOST STORY 2 and it remains one of my favorites. Interesting article. Rosalyn Kwan is tremendous in the Once Upon a Time in China movies. I guess those aren't wuxia? What about The Heroic Triio? Rosamund Kwan. Darn auto correct. There may be others before it but IMHO, Come Drink with Me really started the craze for wuxia over here in Malaysia . I remember it had an unheard of 2 months run in a cinema (this was when cinemas seats hundreds). Cheng Pei Pei was superb in it. Sorry I'm so late with this, Sark! Wuxia is a genre with which I am completely unfamiliar, and it's very interesting to learn about it. You have recommended other Japanese and Chinese movies that I liked, so I will have to try to see one of these, hopefully one you have listed as the best. Good article! Sark, I just returned from a business trip. This is an awesome article about wuxia. I love the gracefulness of the in air battles in "Crouching Tiger, Hidden Dragon" and "Butterfly and Sword" as well as the titles you mentioned. I think it would be interesting to watch the filming of the in air scenes but from a nice, safe place on the ground.